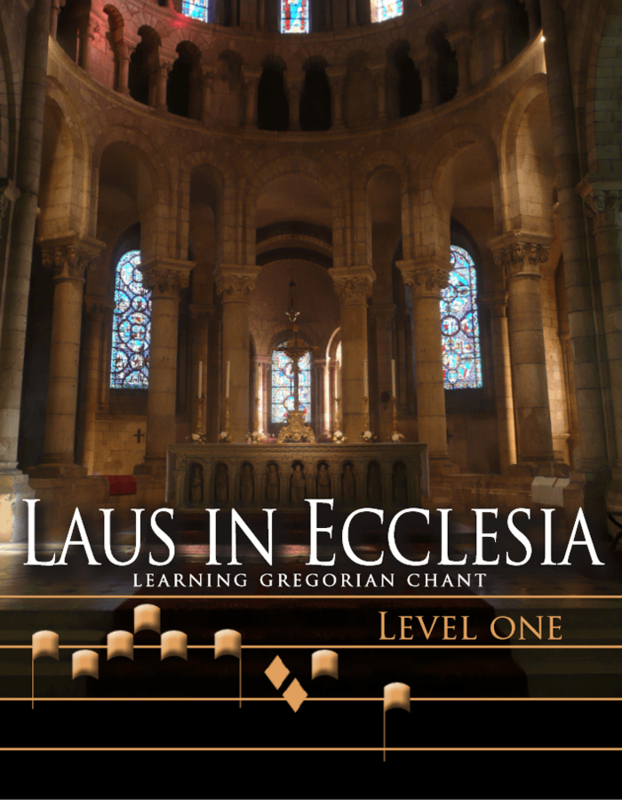 Laus in Ecclesia is a series of three levels of instruction in Gregorian chant. 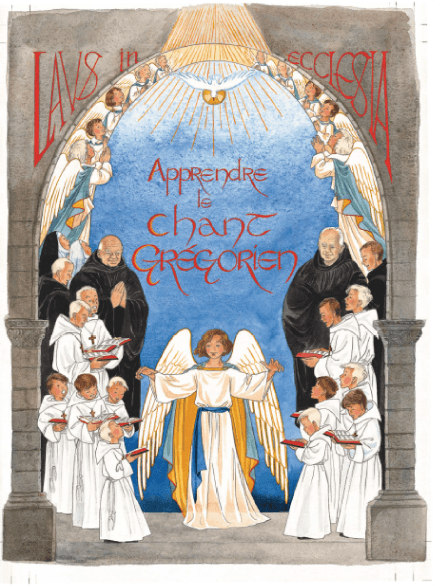 The first level, published in 2017, covers the basic skills necessary to sing in a Gregorian choir. The second (intermediate) level prepares the singer to sing the more complicated chants reserved to the schola. The third level teaches how to direct a Gregorian schola. The second and third levels have yet to be published. The title of the series of three books announces clearly the spirit in which this course on Gregorian chant is conceived. 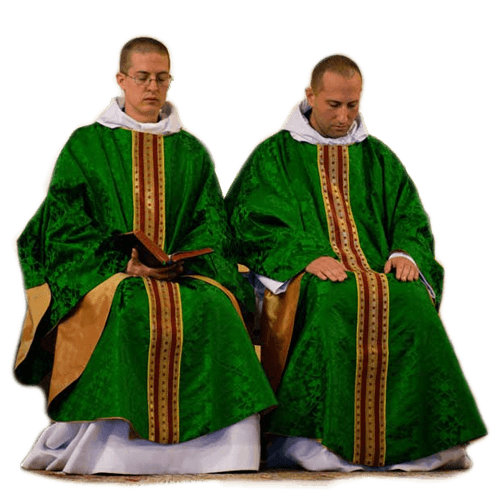 Gregorian chant was made for the liturgy. This course is entirely aimed at training the faithful to sing competently and beautifully within the context of the Mass and the Divine Office. The full correspondence course, with correction of homework and exams at the end, will not be opened to the public until June of 2018. There are fifteen lessons in Level One. Each comprises four sections: Instruction, Exercises, Written Assignment, and Excursus. The instruction covers the various practical aspects of singing Gregorian chant. The exercises practice these skills: solfeggio, rhythm, and reading chant notation. This is an important part of the training offered by Laus in Ecclesia. It is supplemented by audio files that can be streamed or downloaded from this website. The audio exercises are also available, upon request, on an audio CD. Laus is meant to be a correspondence course involving homework assignments by which to assimilate the theory expounded in the chapters of the manual. An excursus at the end of every chapter gives background on topics radiating from Gregorian chant and its restoration in the Church. Eu suas principes vel, ea qui solet abhorreant. Autem voluptaria has te. Dicat menandri te sit. No debet movet utroque eos? Mel mutat omnes oporteat ea, eam id illud consulatu intellegat, quaestio iudicabit moderatius eam ad. Ne dolores electram rationibus sea, cu vis salutatus disputationi reprehendunt, cu velit aliquip corpora eam? Mentitum accusata quo in, dico tibique pri ad! Mei ei commodo adversarium, his at voluptaria philosophia, facer diceret nec cu. Libris lobortis eos ex. Cu nobis quidam possim his. The author is a monk of Our Lady of Triors Abbey who for years has been associated with the Schola Saint Grégoire. He undertook this updated version with the approval of the Schola’s director. Involved with the schola of his own monastery, he has obtained his fifth (highest) degree with the Schola Saint Grégoire and teaches regularly for them at their summer sessions at Monligeon and other sessions. He writes continually in the Schola Saint Grégoire’s quarterly bulletin, Cantemus Domino. The translator is a monk of Clear Creek Abbey who has long been interested in Gregorian chant and the liturgy. The translation is from the French volume, Laus in Ecclesia, a review and updated version of the standard first level teaching of the Schola Saint Grégoire in LeMans, France. For more information on this school, see Excursus 8, 12 and 14 of the manual Laus in Ecclesia, Level One. Both the French and the English versions are full of color illustrations that clarify the teaching and beautify the pages.